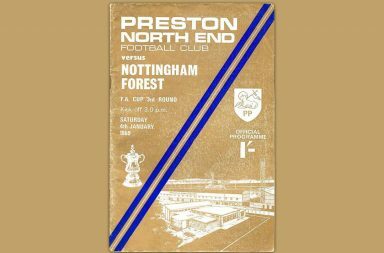 This programme was brought to you by 1 Shilling as part of The Away End. 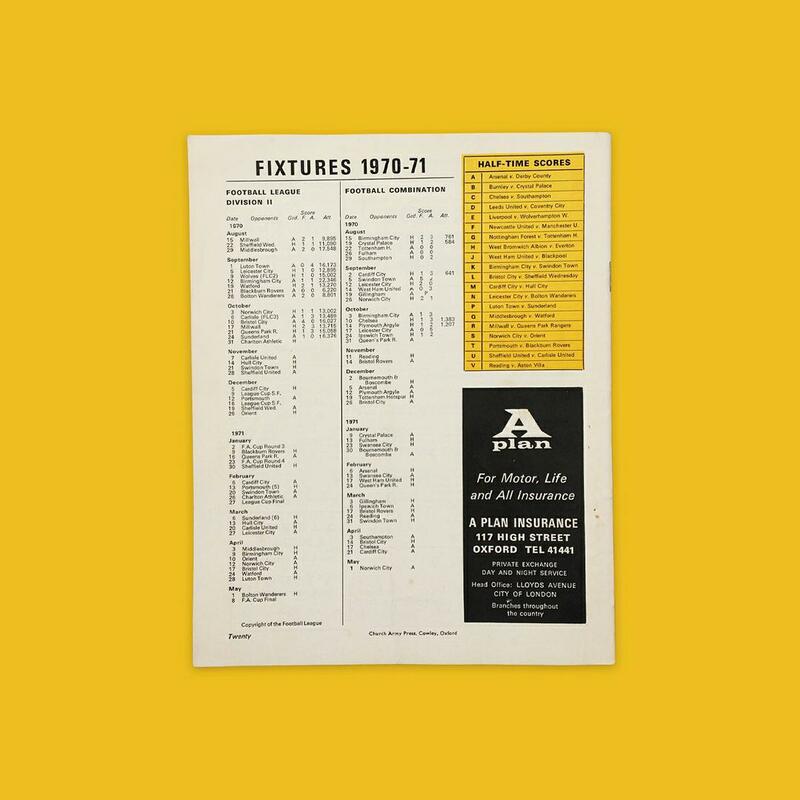 Curated by Matthew Caldwell, 1 Shilling is an exquisite collection of football programmes from a humbler time, with every single one carrying it’s own unique story. The more Bovril stains, the better. The Church Army was established in 1882 by Wilson Charlie, with the vision to reach those most in need of the gospel. The charity focused on spreading the lessons of the bible to London slums and prisons but also during WW1 & WW2, they worked both at home and overseas providing aid for up to 200,000 soldiers on the front line daily. But it was the unemployment crisis at the turn of the century that brought about initiatives, such as providing temporary residential care for the poor, missions to prisons and educational films – which could have only been publicised about through the printing press. 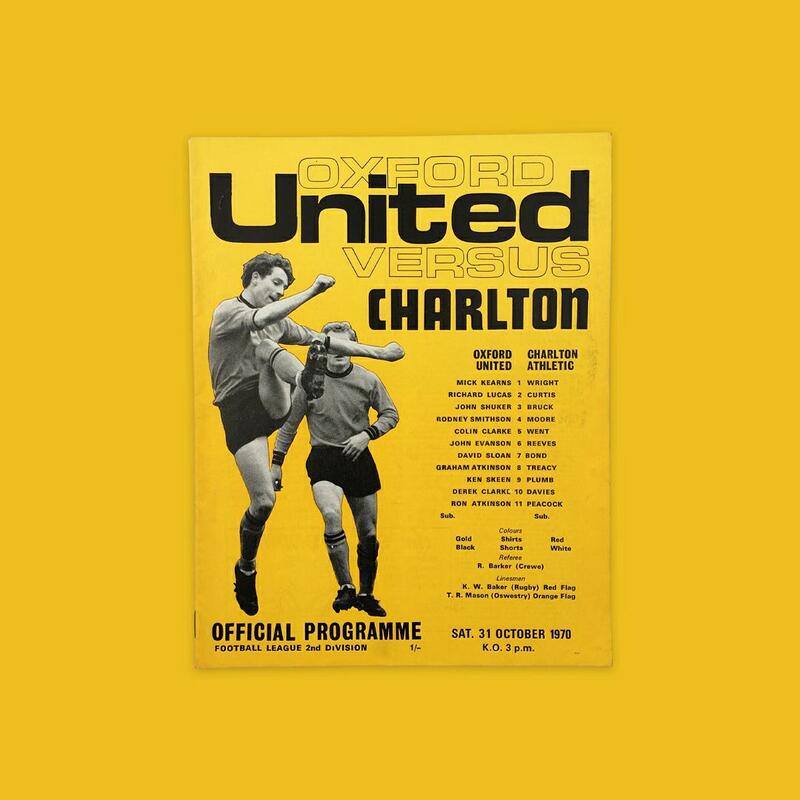 In 1970, the press was still going strong and thank God, because it brought us this stunning golden match day programme.